This is a special equipment to peel the peanuts after drying and roasting. It adopts high-tech material to peel red coat. The red coat will be separated from the peanut kernel automatically and peeled peanuts become splitted kernel. It is widely used in the previous peeling process for peanut butter, peanut milk, peanut dew, pastry and milk peanut. etc. This peanut splitting machine is processed peanuts and half grain of special equipment, it is high automatic, high rate for separately, and it is compact and stable with a reasonable structure and low noise. This machine consists of dust collector and vibrating screen, dust collector can absorb the red skin of peanut, vibrating screen can separate peanuts and germ, that can make the ideal half apeanut. 1. Before the operation started with first check the transmission parts are loose, with or without abnormal noise and remove. 2. After the examination was normal, first open the material sieve, rubbing strip, shut down and vice versa. 3. Rub raw peanuts roasted a little bit before the first half or grilled all OK, can use fingers to rub the skin of peanuts. 4. Depending on the size of peanuts different twist half should always adjust the size of the gap, peanuts big gap to be large, otherwise small. 5. on a roll, there were two adjustment handle,to adjust the gap between the upper and lower control two rolls ,outward rotating big gap, inward rotating small gap. 7. After roll gap is fixed, pay attention to check the side of the drive chain tension, too loose too tight will affect the use, remove the chain tensioner adjusting the tightness of the hood after a suitable fixed, pay attention to oiling. 8. Starting suction fan depending on the wind, adjust the level of suction outlet, the net absorption of peanut skin rub off prevail. 9. After a period of time to regularly check the transmission components, circuitry is intact, clean the oil pickup roller and sieve, so as not to affect the normal use. 10. Each lug shaker, connecting rods, each bearing clearance, timely adjustment after a period of time, consistent with elastic gap, oiling avoid shaking the material is uneven. 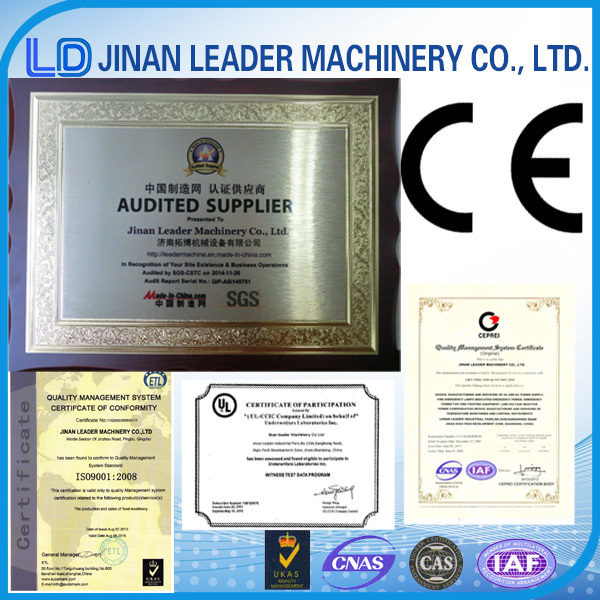 Jinan Leader Machinery Co., Ltd.,is professional manufactory of food machinery, snacks food machinery and peanut butter and a series of products. We mainly deal with the manufactory, research and development of the food machinery There are more than 20 engineers and 15 after sales service personnels in our factory. Anything wrong when machines is operated will be dealt within 10 minutes.